Happy Valentine’s Day! I have combined my love for food, photography and lettering in this photo. My next post will be about that popsicle in the photo. 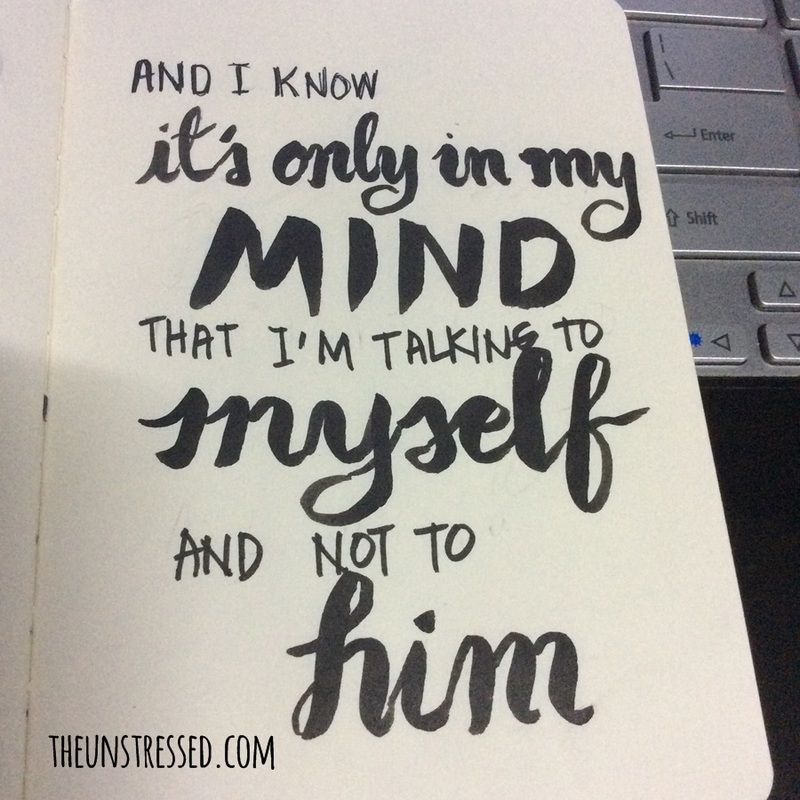 I did the lettering on paper, took a picture and did some tweaks on Photoshop. On Instagram, Fozzy started the hashtag #10daysofcrushing. If you join, you post a line from a song or a quote for your crush once a day for ten days. Although I do not have a crush, I wanted to join to practice lettering, typography and calligraphy. On the first day, I already listed the lines from the song. There is nothing romantic about the process but it did bring me back to those kilig (rough translation: giddy, smitten) moments when I had a crush on someone. Before I even knew Fozzy’s #10daysofcrushing, I already posted this one on Facebook because I kept singing Ed Sheeran’s Thinking Out Loud in my head. I posted this on Instagram a little later. 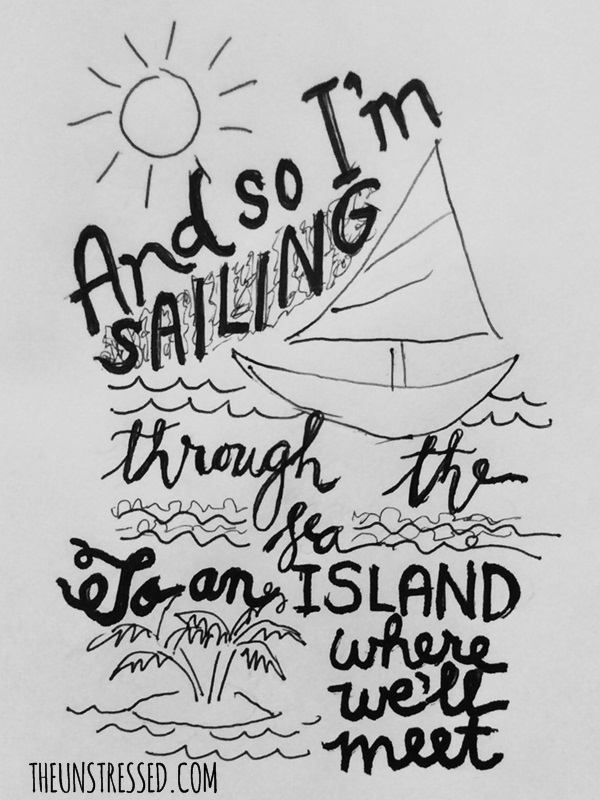 Since I only own a 0.04 mm technical pen, I thought about just sketching the next song line. I have always loved melody of this song. It makes me happy. Since I also see a lot of watercolor calligraphy, I wanted to try, too. 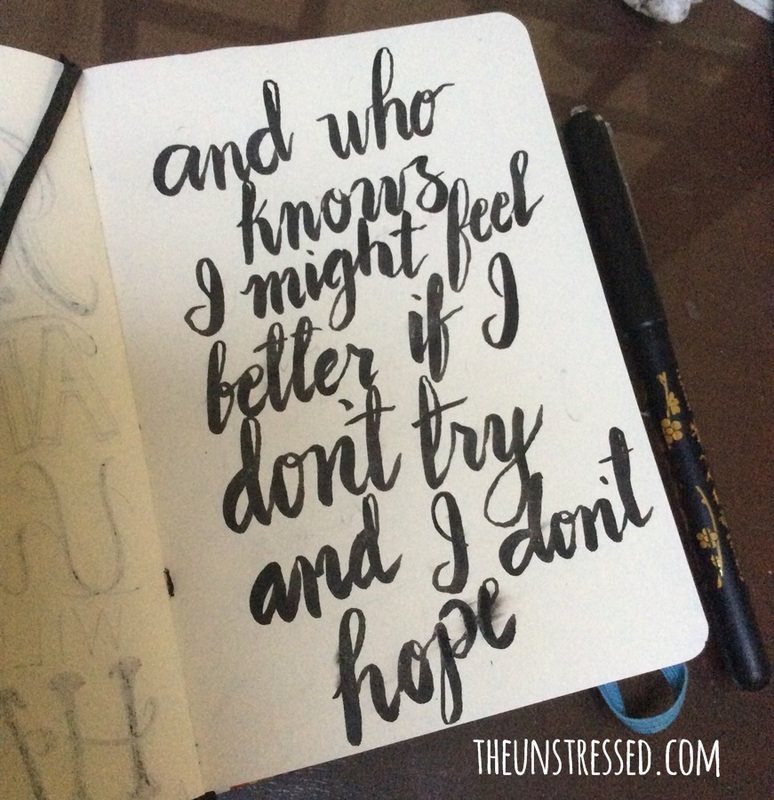 My strokes are a little shaky. I love this song from the movie, “Anastasia”. My friend, Erns, introduced us to this song. For me, this talks about friendship more than romantic love because it was the theme song I used for the photo montage in one trip with friends. I found sample sketches of flowers as embellishments to graphics. I wanted practice so this is the output. I wanted variations in the style I post everyday so I came up with this design. The dried rose is just an added touch. 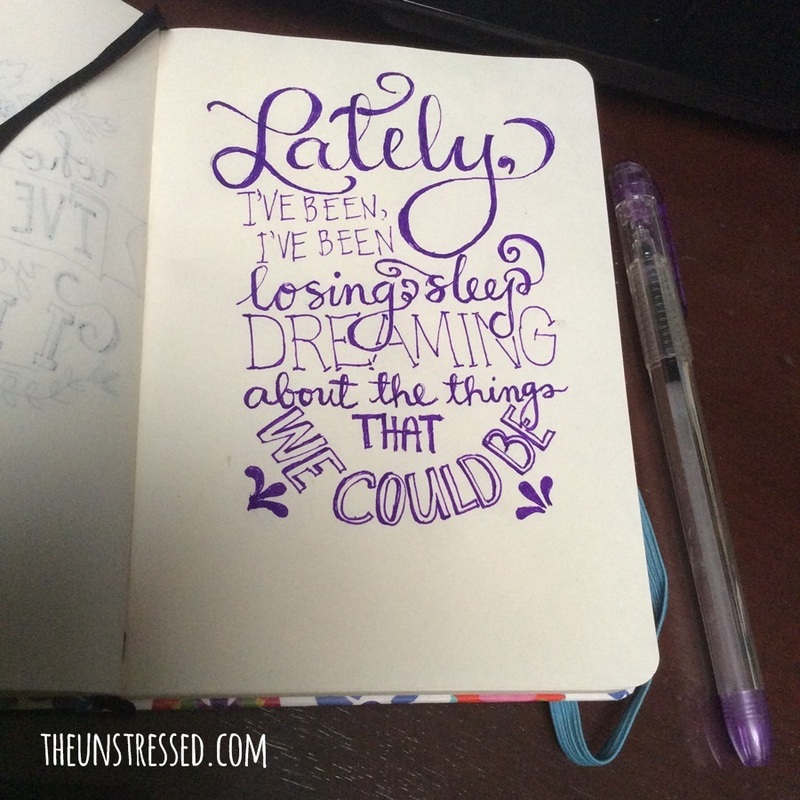 While rummaging though my drawer, I found a purple pen so I wanted to use it this time. Finally, I got my brush pen from Daiso but I think I incorrectly inserted the ink. I might use up all the ink soon. Uh-oh. I am still in the process of learning how to do good calligraphy. It is fun to combine it with regular handwriting. I suddenly thought of writing all those lines into one poem. 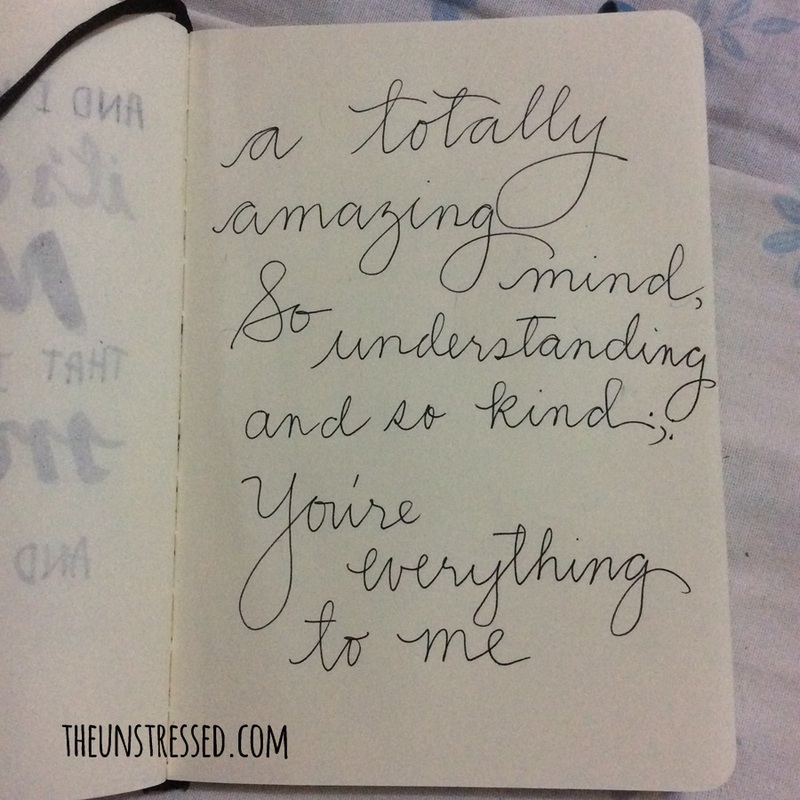 A totally amazing mind, so understanding and so kind. Hope your Valentine’s day does. Priscilla flipped around the lines to add sense to the entire “poem”. Pretty cool! You got great penmanship huh! ME, I write like a doctor. Can you imagine how readable my writing is? Having a crush and attaching a song to it can be long lasting. Agree with you Raymond. Maybe she can start with Fiverr or 199jobs ! This is so cool, Priscilla! I am going to add this to the post!!! Nice poems with good drawings.. I think thise are good romance quote on Valentine’s day. Keep the good work dear.. So gorgeous! 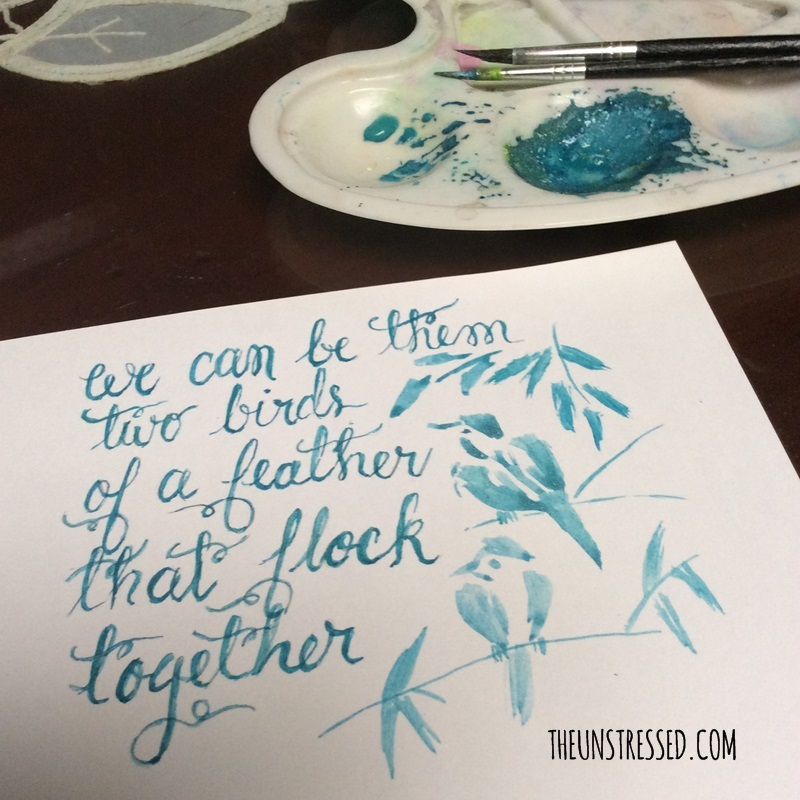 My favourite’s the blue watercolour calligraphy. How did you work the calligraphy with Photoshop in the first photo? copy picture to a transparent background. Use magic wand on the image to select the parts you want to delete you want the text to stay but the background to be transparent. then, superimpose on a picture. Belated happy hearts day sis. You are an artist talaga. 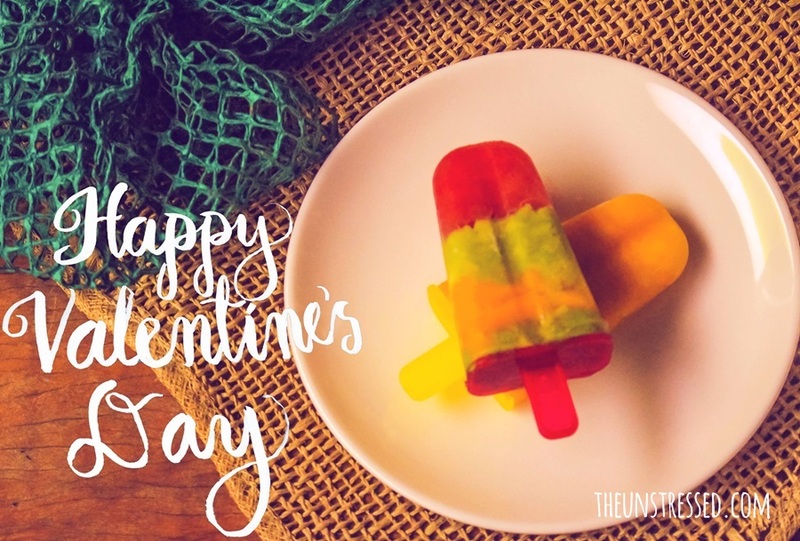 And I love your healthy popsicle.. Thanks, Mommy Maye! Happy hearts day! Happy Valentine’s Day! I like the idea of #10daysofcrushing though I am long overdue for a crush but its sweet and lovely to read your posting & notes. Wow, I like the calligraphy in purple best. 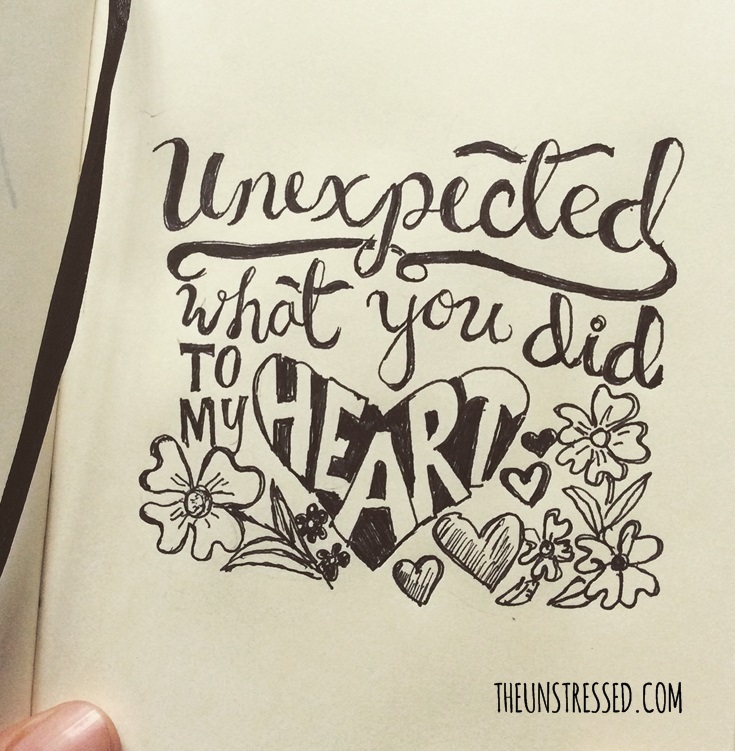 Yes, Priscilla aka pingerrain is indeed good with all these poetic and calligraphy stuff! I’m so glad you guys are exchanging tips! Yeah, it is so cool. I really love your penmanship Sis and your creations Says it all. Belated Happy Valentines Day. Keep on inspiring us. Thank you, Melgie! You are so sweet. Calligraphy, what’s that? just kidding , but I am not into arts and crafts. However I appreciate good art as I see one. you have a talent dear and your creative too. Omg these are so adorable! I love all of them =) I hope you had an amazing Valentines Day!! I wish I could do calligraphy as well as you do. I’m sure you’ll even be better with practice. 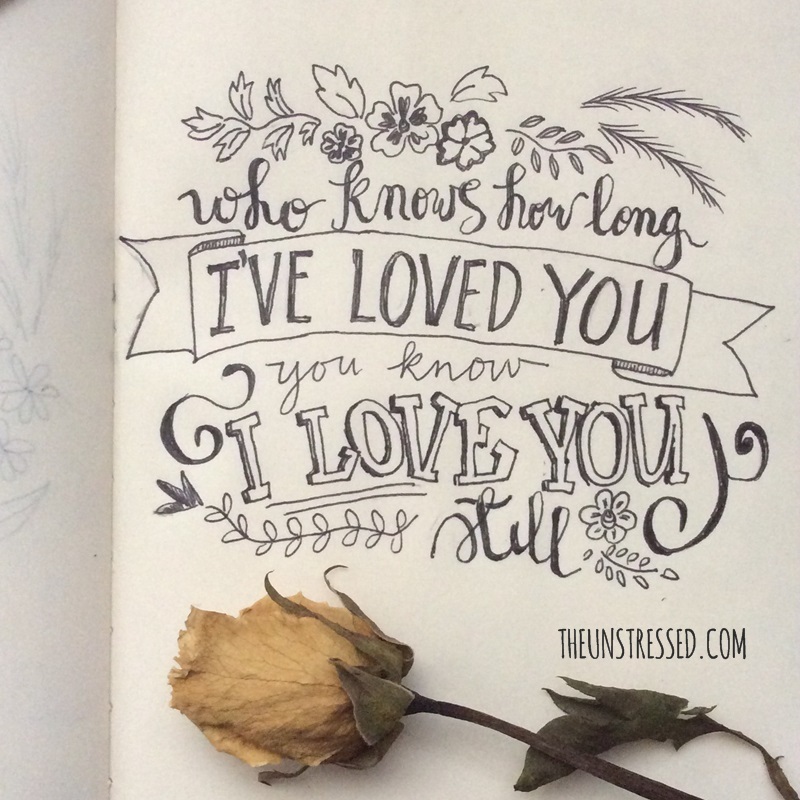 I like your watercolor calligraphy. Among your ink calligraphy, I would have to say the best one is the one with the least flourish — the very last one. So elegant. I love your romantic and poetic lines. Your beautiful penmanship makes it all come together for our enjoyment. You are definitely talented. 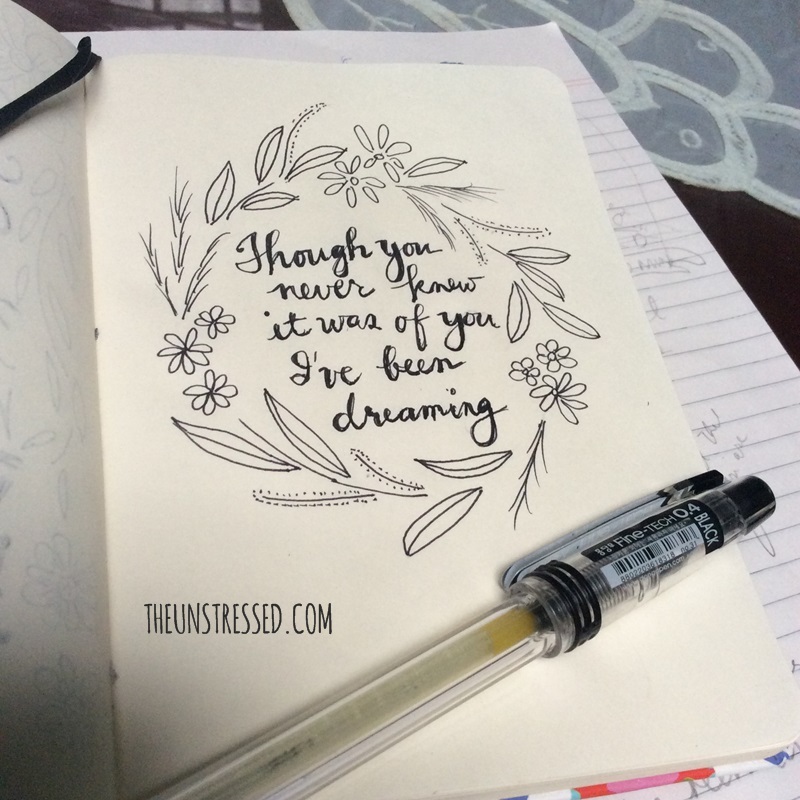 You sketching, drawings, paintings and now calligraphy…you have talent indeed, and the poem too. 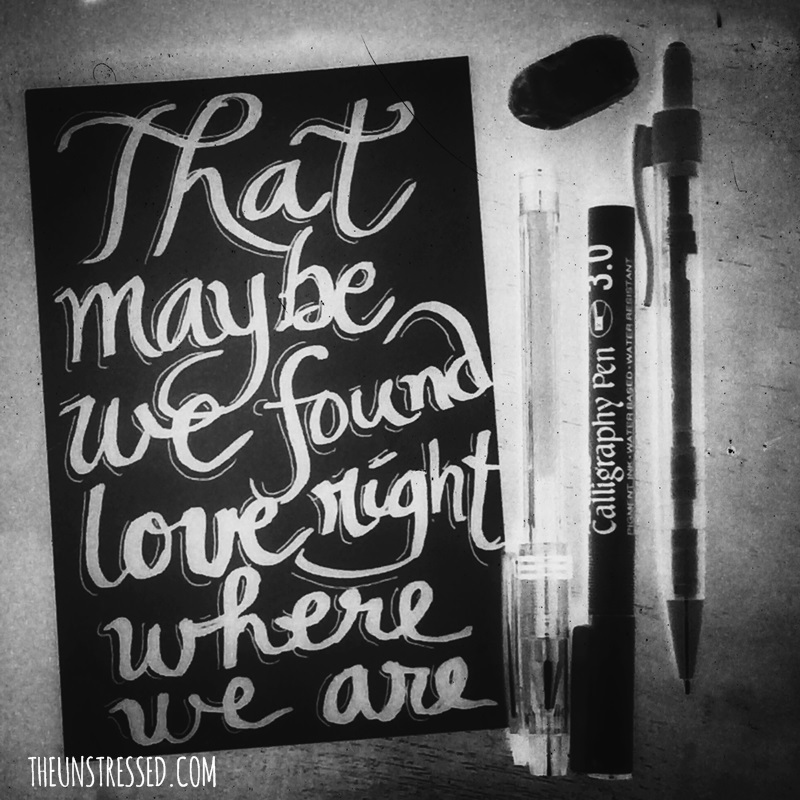 I love your calligraphy works of art containing some of the best love quotes ever. I especially love this one, that we are two birds of a feather that flock together! I wish I could be even half as good at arts as you are. You really are a talented woman! Bili ka na! push! push! U have skills… Love all your amazing art.